Bridge in a Day series by Patty Tucker. Congratulations on your purchase of Bridge in a Box by Patty Tucker. Please read below instructions to get started. Once you create an account with us you will be able to activate and access your videos. Click here to access the registration and login page. The video tutorials are held on the Great Game Products website and accessible from your Accounts page. Your access code is on the bright yellow card in your game. Register with Great Game Products and then enter your access code at the bottom of the page where it says "Video" and activate your account. You may then watch the video tutorials and complete your workbook at your convenience. There are 10 video tutorials plus three bonus segments. Each segment is approximately 15 minutes long and there will be at least one activity for you to perform. You may be asked to deal a hand, complete an exercise or play a board. Board is bridge term used to describe a preset hand of cards. PLEASE NOTE: Your serial number can be activated 4 time per unique account id. You will receive access to the videos and your Bridge in a Box app for iPad. The app parallels the video tutorials and player workbook. The app also allows you to play randomly dealt hands to continue to practice and expand your understanding of the concepts you are learning. 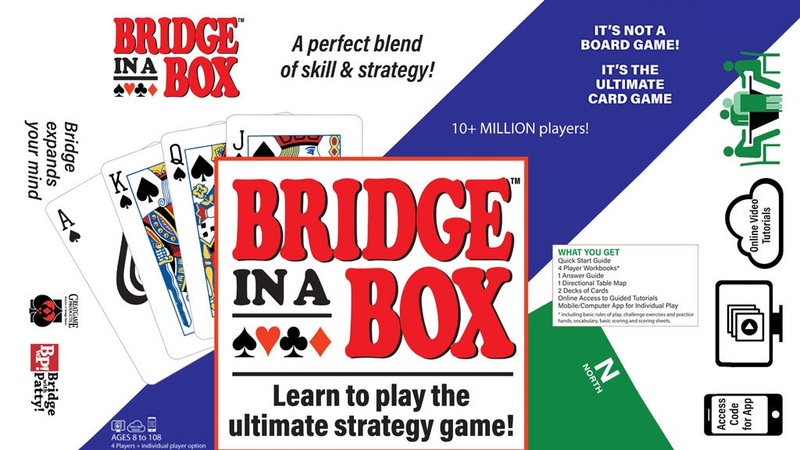 Once you activate your Bridge in a Box videos you will automatically receive the APP via Bridge Baron Teacher on your iPad. To acquire Bridge Baron Teacher please access the app store from your iPad and search for "Bridge Baron Teacher" then install it for free. Then use the same login you use for Great Game Products. Your Bridge in A Day app will be found under ‘My Lessons’.